With Formula One success behind him and the Yamuna Expressway stretching ahead, Jaypee's Manoj Gaur stakes claim for a seat at India Inc's high table. 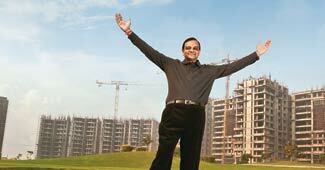 The company with the largest land bank in NCR is on course to cross Rs 20,000 crore in turnover this year. A bonus issue is usually good for the stock, but not always. Elections may come and go but highways endure, and the whiff of outsized opportunity is luring Japanese investors beset by stagflation and a soaring yen who had held gingerly back from India until the allure became irresistible. Snapshots of eight Indians who figured in the definitive 2011 list of the world's 50 top business thinkers. Michael Boneham, President & MD, Ford India shares his leadership style. Why and how dark horse Cyrus Mistry got to run the victory lap around Bombay House. Will Akula's exit help SKS' future? What's behind Japan's rising interest in India? With its focused approach, clarity of concepts, scrutiny of contents, pervasiveness of utility and incidence of implication across business platforms globally, your cover package was not just innovative, but informative too. Children are digital natives. Ergo, parents will have to adapt. Employers need to make employees more aware of health benefits offered. Oil, metals and mining companies will be the biggest losers as imports will become costlier, while companies in the pharmaceutical and IT sectors stand to gain. In a breather for corporate executives embroiled in the 2G scam, the Supreme Court nod led to a spate of bail applications being accepted. Dearton Thomas Hector finds out what prompts business leaders to take part in marathons.